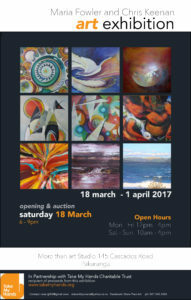 From the 18th of March till the 1st of April Maria Fowler and Chris Keenan are having an exhibition. Proceeds from sales, the silent auction and a raffle will go to TMH to contribute to the work we do in the Pacific. We’re hugely appreciative of the great work that both artists have done, and their support of TMH. Details of the exhibition are below – but if you can’t get there all is not lost! 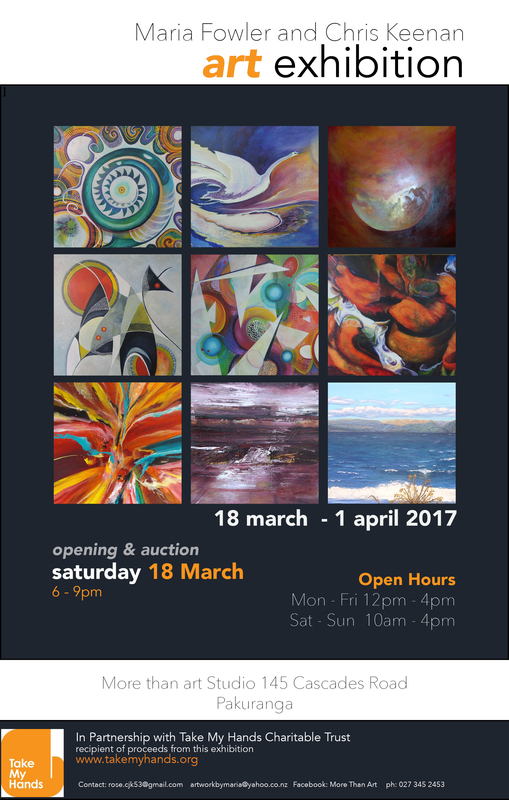 We’ve just posted photos of the artworks up on our facebook page, and you purchase the artworks online, or take part in the silent auction. So make sure you head to our facebook page, or even better head to More than Art Studio in Pakuranga for a look.